100 Days. How will you spend it? Researching recruits, securing your Season Tickets, reaching out to friends & family to do the same, finally joining the Sun Devil Club, planning the drive up to Camp Tontozona for the annual scrimmage on August 17, checking for any scheduling conflicts you may have for ASU’s seven home games, making flight & ticket reservations for ASU vs Notre Dame at Cowboys Stadium on October 5, following developments within the Ucla & SC programs since those are the two most important games on ASU’s road to the PAC12 Championship on December 7, reserving your Gameday real estate & planning your best tailgates yet, replaying JediASU’s YouTube videos from last year’s Territorial Cup, joining DieHard Devil for free access to the latest fan topics, custom uniform combinations and discounts on Gameday gear…. or simply getting increasingly pumped as you rip another page off the calendar in your man cave? Whatever it is, it’s ALL good. 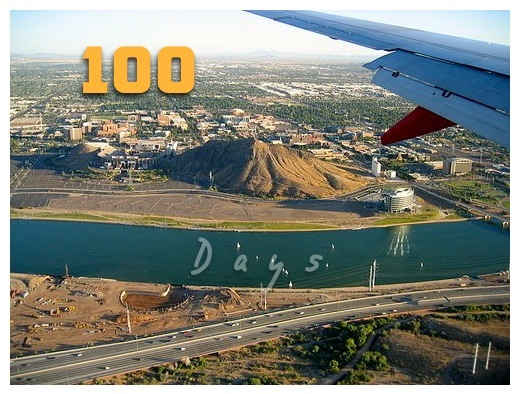 A Stronger, Louder, more United Sun Devil Nation is forming and there’s only 100 days before it packs the House of Heat on Thursday, September 5 against Sacramento State. Are You? Prove it. Patience is a Virtue? That’s a tough one.